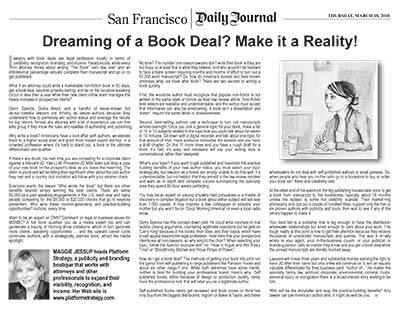 Dreaming of a Book Deal? Make it a Reality! What if an attorney could write a marketable non-fiction book in 60 days, get a book deal, become a media darling, and be on the lucrative speaking circuit in less than a year while their new client inflow team manages the heavy increase in prospective clients? Gerry Spence, Gloria Allred, and a handful of lesser-known but as-successful lawyers are thriving as lawyer-authors because they understand how to painlessly win author status and leverage the results for big returns. Almost any attorney with a bit of experience can join this elite group if they know the rules and realities of authorship and publishing. Why write a book? Americans have a love affair with authors; we elevate them to a higher social level and grant them instant expert status. In a crowded profession where it’s hard to stand out, a book is the ultimate differentiator and qualifier. If there’s any doubt, the next time you are competing for a corporate client against a Harvard JD, Yale LLM, Princeton JD MBA team just drop a copy of your new book on the prospect’s desk as you leave the meeting. The client is yours and will be telling their significant other about the cool author they met and a country club invitation will follow with your retainer check. Everyone wants the lawyer “Who wrote the book” but there are other benefits beyond simply winning the best clients. There are some 50,000-plus paid speaking engagements in the U.S. each year and many people competing for the $5,000 to $20,000 checks that go to keynote presenters. Who wins these income-generating and practice-building opportunities? Authors, every time. Want to be an expert on CNN? Comment on legal or business issues for MSNBC? A hot book qualifies you as a media expert too and can geneerate a bounty of morning show invitations, which in turn generate more clients, speaking opportunities ... and the upward career cycle continues. 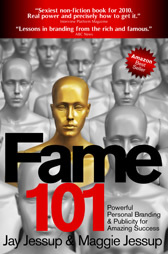 Authors, with a strategically planned book, attract the media spotlight. MAGGIE JESSUP heads Platform Strategy, a publicity and branding boutique that works with attorneys and other professionals to expand their visibility, recognition, and income. Her Web site is www.platformstrategy.com. No time? The number one reason lawyers don't write their book is they are too busy, or at least that is what they believe. And who wouldn't be hesitant to face a blank screen requiring months and months of effort to turn out a 60,000 word manuscript? So, how do America’s busiest and best known attorneys whip out book after book? There are two secrets to writing a book quickly. First, the would-be author must recognize that popular non-fiction is not written in the same style or format as their law review article. Non-fiction best sellers are readable and understandable, and the author must accept that informative can also be entertaining. A book isn’t a dissertation and doesn’t require the same detail or obsessiveness. Second, best-selling authors use a technique to turn out manuscripts almost overnight. Once you pick a general topic for your book, make a list of 10 or 12 subjects related to the topic that you could talk about for seven to 10 minutes. Sit down with a digital recorder and talk about one topic for that amount of time. Have someone transcribe the session and you have a draft chapter. Do this 11 more times and you have a rough draft for a book. It’s fast, it’s easy and reviewers will say your writing style is conversational rather than lawspeak. What’s your topic? If you want to get published and maximize the practice building benefits of your new author status, you must select your topic strategically, but lawyers as a breed are simply unable to do this well. It’s understandable, but not helpful, that they are still in the law review mindset and want an in depth and complete volume summarizing the specialty area they spend 80-hour weeks perfecting. You may be an expert on valuing privately held companies or a master of discovery in complex litigation but a book about either subject will sell less than 1,000 copies. It may impress a few colleagues or possibly your mother but you won’t be on “Good Morning America” or even a local radio show. How do I get a book deal?  The methods of getting your book into print run the gamut from self-publishing to large publishers like Random House and about six other mega f rms. While both extremes have some merits, neither is best for building your professional brand. Here’s why: Self published books, either because of design or production quality, rarely have the professional look that will label you as a legitimate author. Self-published books rarely get reviewed and book stores or libraries only buy from the biggest distributors, Ingram or Baker & Taylor, and these wholesalers do not deal with self-published authors or small presses. So, when people who hear you on the radio go to a bookstore to buy or order, your book isn’t there and credibility fails. At the other end of the spectrum the big publishing houses take eons to get a book from manuscript to the bookstores; typically about 18 months unless the subject is some hot celebrity scandal. Their marketing philosophy is to put out a couple of hundred titles, support only the five or six proven authors with publicity and tours, then wait to see if any of the others happen to make it. Your best bet is a publisher that is big enough to have the distributor/wholesaler relationships but small enough to care about your work. The tough reality at this point is how to get their attention because they receive thousands of unsolicited manuscripts and queries. The way it really works is your agent, your in-the-business cousin, or your publicist or branding person calls an insider they know and you get a book deal while the unread manuscripts are literally trucked away. Lawyers will invest three years and substantial monies earning the right to have JD after their name but only a few will continue on to win an equally valuable differentiator for their business card: “Author of...” No matter the specialty, family law, antitrust, corporate, environmental, criminal, trusts, personal injury, or immigration there is a broad interest story waiting to be told. Who will be the storyteller and reap the practice-building benefits? Any lawyer can join America’s author elite; it might as well be you.